A poll setup merely out of curiosity has seen hopeful Aston Villa fans vote in favour of acquiring Danny Ings- were he to become available in January. 66% of supporters are keen to see Steve Bruce sign the former Burnley man as the Villans push for promotion back to the Premier League. Ings has endured a tough time since signing for Liverpool in 2015, suffering separate season-ending injuries to both knees and, as a consequence, having managed only 12 first team appearances. The striker returned to training earlier this year and has since contributed admirably for the club’s U23s, gaining valuable minutes and posing as a useful role model for his young teammates. His dominant form recently saw him register four goals in a 7-0 Premier League Cup win over Bristol City, serving as his latest instalment in a series of performances sure to have come to the attention of Jurgen Klopp. With the likes of Sadio Mane, Roberto Firmino and Mohamed Salah around, starting places in the first team are extremely hard to come by. 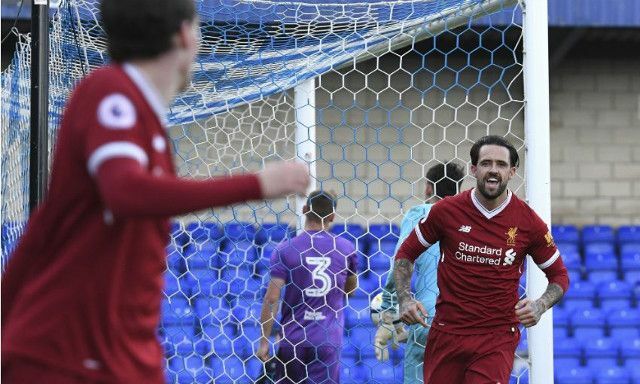 It’s for this reason a loan move may be an inspired option for Ings when the transfer window reopens, in aid of surrounding himself with fiercer competition and progressing on his route back to Liverpool’s senior team. That said, a move to a Premier League club would be far more ideal than to one battling for a place in England’s top flight. Liverpool can expect to have plenty of offers on the table come the turn of the year.